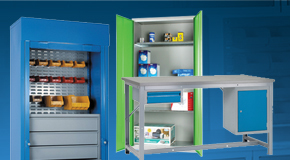 G Force supply a range of industrial quality attached lid containers, tote boxes and plastic crates ideal for storage, handling and transportation applications. 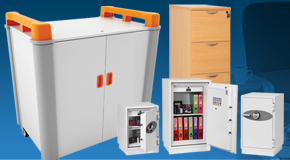 Our range of plastic containers with attached hinged lids provide secure solutions for general storage and distribution. 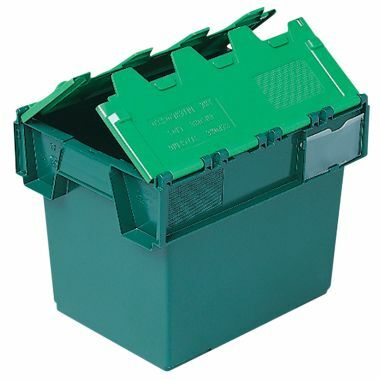 The plastic tote box range is designed to stack when the attached lids are closed and nest when the plastic boxes are empty. 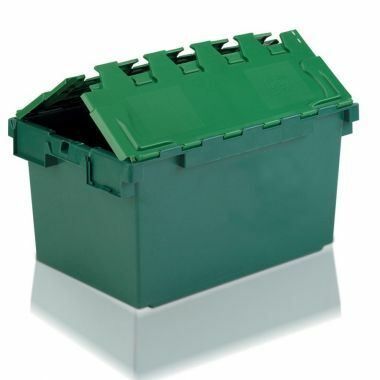 This range of attached lid containers are available in a variety of sizes and are produced from both food grade and recycled materials. 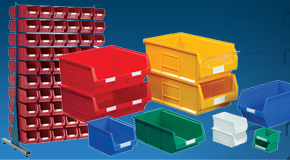 Tote boxes or attached lid containers are tough, long lasting storage and distribution containers specifically designed for repeated use. Featuring a strong hinged lid that meets in the middle they stack securely on top of one another when the lids are closed and also nest securely inside one another when their lids are open. The hinged lid meets in the middlle with interlocking teeth which has earned this style of container the nickname "croc boxes". The robust design ensures that our tote boxes are suited to many different applications; they are often used as removal crates, distribution containers or for general storage and archiving. 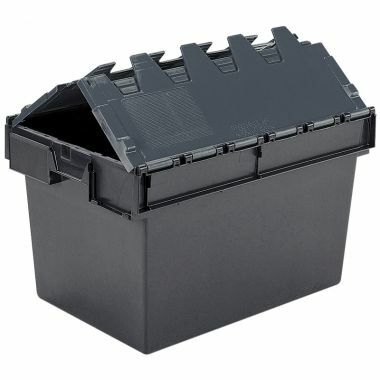 The attached lid design and ability to inter-nest make tote boxes easy to store, nesting together when empty and saving valuable space. 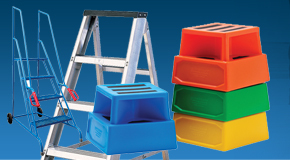 All of our tote boxes are an industry standard Euro foot print, allowing them to be efficiently stacked on pallets and enabling them to be used with our range of wheeled dollies. 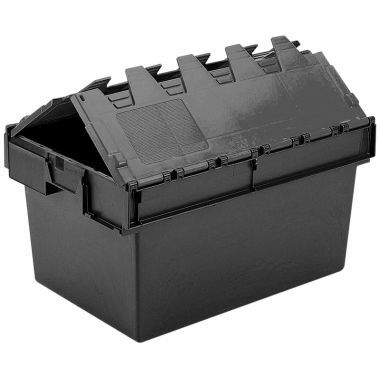 The strong plastic construction makes the tote box very rugged and able to withstand repeated use, ensuring many years of ongoing use. 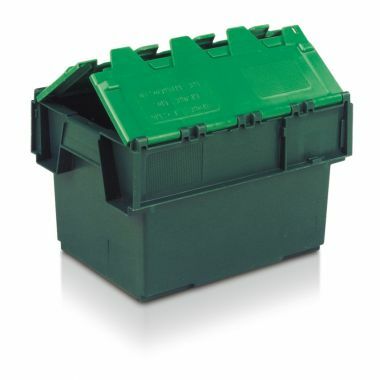 The attached lid keeps contents safe and secure, with tamper evident seals available. 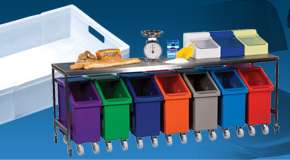 Tote boxes can be supplied in re-cycled material, reducing the unit cost and helping the environment by making use of waste material. Our range of tote boxes can easliy be labelled with label holders and dimple pads for adding /removing identification labels or barcodes. 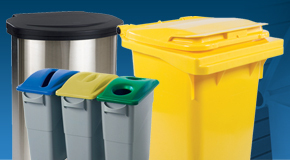 Our range of attached lid container are available in a range of different sizes from 18 to 80 litres and colours including blue, black and green, further colours are available on request. 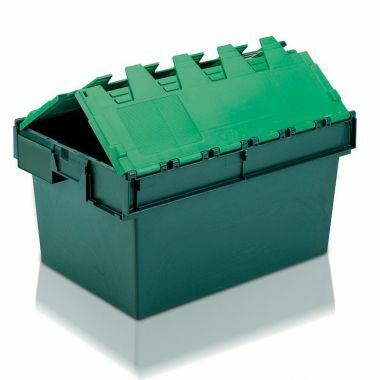 Supplied fully assembled and ready to use with the attached lid in place, all of our tote boxes are manufactured in Europe, with a core range made here in the UK. Our products are made from sturdy, durable plastic which will stand the test of time and the strains of everyday wear and tear. They are constructed to be long-lasting and re-usable for years to come. 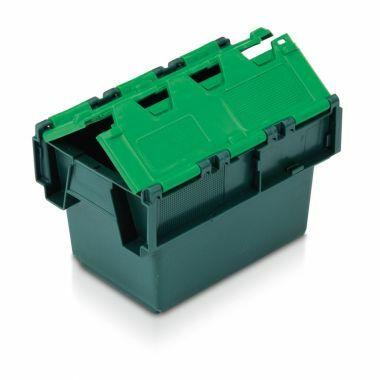 Our range of tote boxes and attached lid containers offer standard European sizes, designed to stack efficiently on pallets for easy transportation. 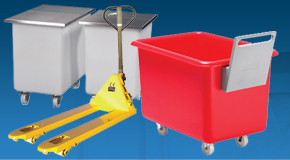 They also interwork with our range of wheeled dollies and picking trolleys. 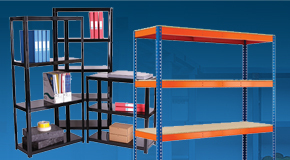 There are no minimum order requirements and we are able to ship anywhere in the UK or beyond. 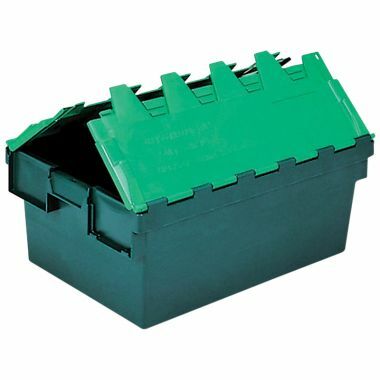 If you would like to purchase a bulk load of tote boxes, please get in touch so that we can fully understand your requirement, put forward the most suitable product and offer the best possible prices. On bulk requirements we are able to offer further discounts, thanks to savings achieved in the production and distribution of larger quantities. In summary a tote box is great for storage and distribution container, ideal for retail, removals, and all manner of storage applications. 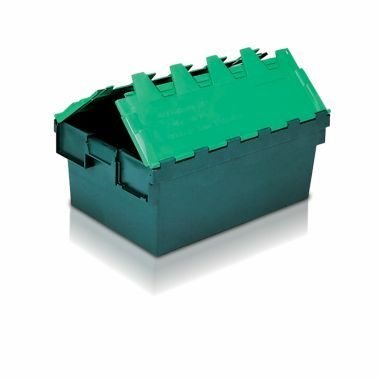 The strong, robust design of a tote box is able to withstand repeated use, making these hard-wearing boxes excellent value for money. 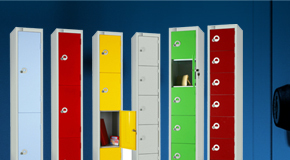 Contact us today to discuss your requirement or to getmore information on our range.